Beginning in December 2015, Janet Yellen put the Fed on a path to raise interest rates 0.25% every March, June, September and December, a tempo of 1% per year through 2019, until the Fed “normalizes” interest rates around 3%. The only exception to this 1%-per-year tempo is when the Fed takes a “pause” in hiking rates because one part of its dual mandate of job creation and price stability is not being met. Yellen raised rates in a weak economy, and now Jay Powell has done the same. I’ve warned repeatedly that the Fed is tightening into weakness. Why is it doing so? 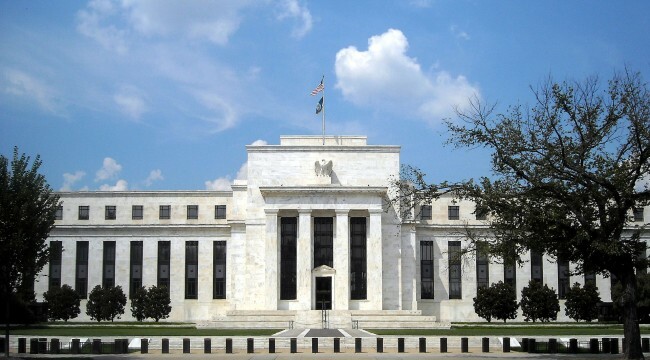 I’ve said repeatedly but can’t say enough, is that the Fed is preparing for the next crisis. The evidence is clear that it takes 3% to 4% in rate cuts to pull the U.S. out of a recession. The Fed cannot cut rates even 3% when the fed funds rate is less than 2%.